Very little by way of additional information can be added to this simple family snapshot. 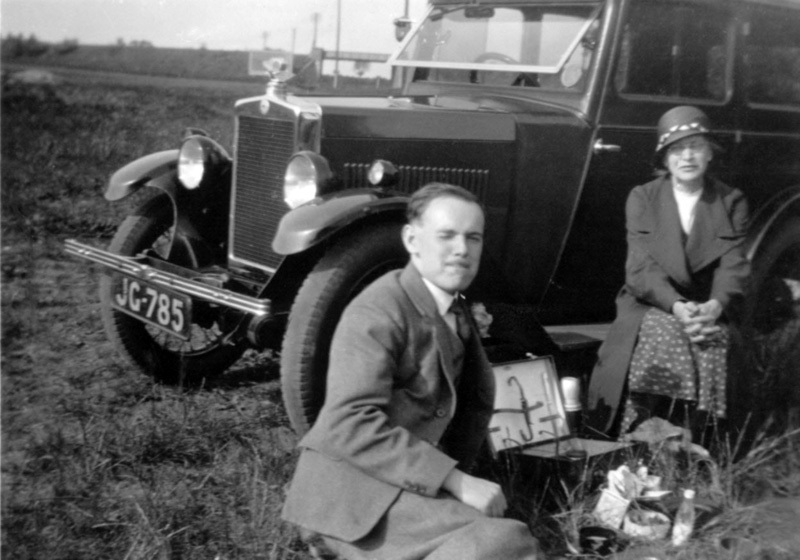 The car is a 1930 Minor Saloon registered in Canterbury, Kent as JG 785 and like so many of the photographs of the period it depicts the family partaking in a roadside picnic. It is quite possible that the car is the fabric skinned version of the model and that the photo was taken some time later that decade if the almost bald tyres are anything to go by.